Begin your counseling career on the right foot "Get Started in Counselling" is a comprehensive guide to all aspects of counseling. It is essential reading if you want to learn vital counseling skills, are about to embark on a counseling course, or you are already a trained and experienced counselor. The book details a wide range of counseling skills and examines the origins and different models of counseling. 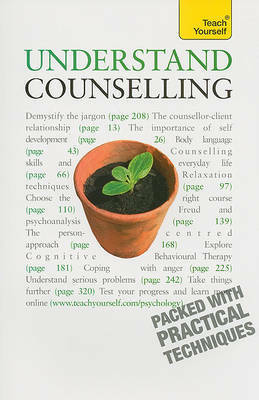 The 2010 edition has been fully updated to include recent developments within the counseling field, notably the increasing popularity of online and telephone counseling and cognitive behavioral therapy. This book demystifies the jargon and uncovers a wide range of skills and approaches. You can also visit teachyourself.com for tests, extension articles and a vibrant community of like-minded learners. And if you don't have much time, don't worry--this book gives you one-, five-, and 10-minute bites of learning to get you started. Aileen Milne is a trained and experienced counselor. She has her own private practice and currently works for a counseling agency which provides short-term counseling-both face to face and over the telephone-for many companies and organizations throughout the United Kingdom. She has experience working in both short-term and long-term counseling and has worked with a wide range of issues. She also has experience of both attending and facilitating numerous workshops.